Custom Brake kits, bells & brackets. We specialise in creating one-off high performance brake kits for vehicles where no off-the-shelf kits are available. Our most popular solutions utilise readily available calipers and rotors, mated to specially manufactured aluminium caliper brackets and disc bells. 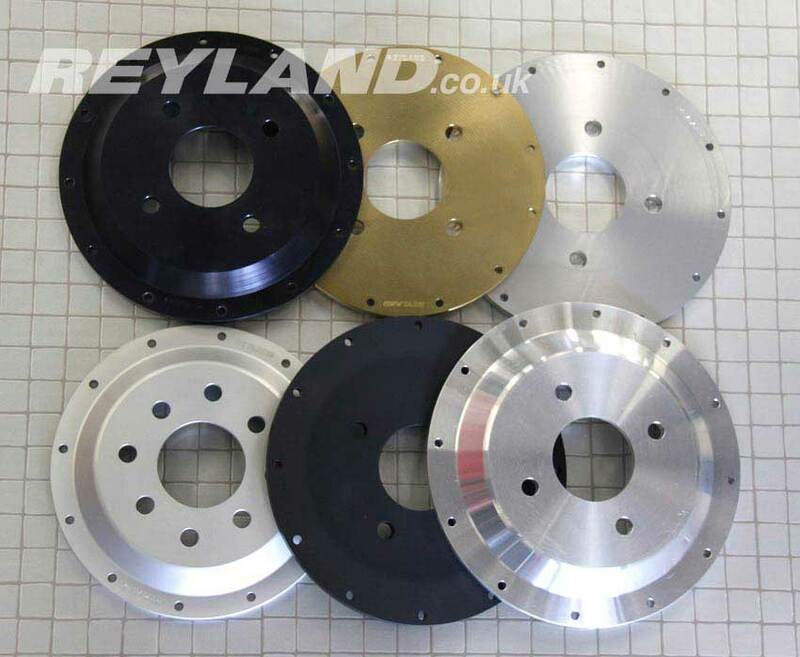 We use the correct materials for our brake conversions, with all components created in house using our high precision CNC machines. To create a bespoke/one-off brake kit for your vehicle we would require a hub, wheel and ball joint although we do have many hubs already in stock. If you just require bells then a simple drawing or pattern will be enough for us to work from. All bells and brackets are anodised. Genuine AP bell-to-rotor fixings won't rust and are stable under the extreme heat ranges experienced by brake discs. AP Racing part number CP3845-100K12. It's very important to torque these bolts correctly (10.5ft/lb or 14nm) in order to avoid damage to alloy bells.